The Andaz London Liverpool Street hotel is creating what it is calling Shoreditch's biggest advent calendar to celebrate the east London location. The "25 days of Christmas" installation features different windows each with artwork to highlight different parts of the area such as the dragons guarding the gates of the City and the street art of Shoreditch. It will also have local recommendations such as Brick Lane’s curry mile which is showcased with the smell of spices and the yells of restaurant hosts. The installation has been designed by local agency Junior London in collaboration with Stables & Lucraft. It will be on display across a large mirrored wall in the hotel with viynls applied to the outside frame of each wooden window. General Manager Otto Steenbeek said: "This year’s installation not only celebrates the area’s history but also encourages guests to explore the district’s iconic landmarks and experience the neighbourhood. 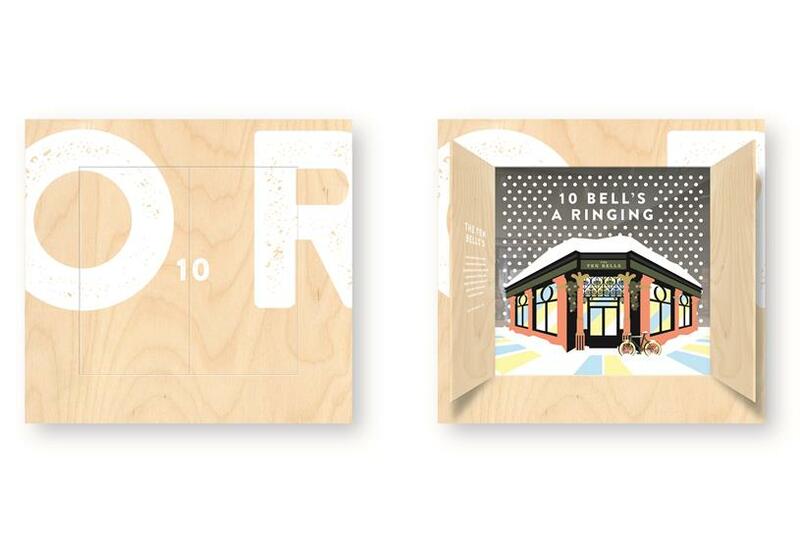 "Bringing to life the Christmas festivities and tradition of the classic advent calendar, this particular interactive installation allows each guest to experience the area through a local perspective and engage with the historical stories that bring East London alive".